WASHINGTON, D.C. – The Naa’bik’iyati’ Water Rights Task Force of the Navajo Nation Council, led by Speaker Johnny Naize (Low Mountain, Many Farms, Nazlini, Tachee/Blue Gap, Tselani/ Cottonwood), met with U.S. Department of Interior Secretary Ken Salazar on Nov. 14 to present a position statement on the Navajo-Hopi Little Colorado River Water Rights Settlement. The Naa’bik’iyati’ Committee approved the “Position Statement of the Navajo Nation on Comprehensive Water Rights Settlements” (resolution NABIN-87-12) on Nov. 9. The position statement stipulates critical positions for all parties of the settlement and Congress to consider—many of the positions resulted from the Nation’s citizens’ input when council considered the water rights settlement legislation last summer. The need for the position statement arose during Secretary Salazar’s visit to the Navajo Nation on Sept. 18 when he invited Navajo leadership to Washington to discuss the water rights settlement in more depth. In discussions occurring after his visit to the Navajo Nation, Secretary Salazar expressed to the Nation and the Hopi Tribe his interest in finding a mutually agreeable Navajo-Hopi water rights settlement that could potentially be acted on by Congress during the lame duck session. Speaker Naize presented the position statement outlining the Nation’s interests and expectations of the Little Colorado River water rights settlement bill to Secretary Salazar. We have a position statement that outlines the critical priorities of the Navajo Nation with respect to water rights, Speaker Naize stated. As part of the Nation’s position, Speaker Naize asserted that any and all of the Nation’s water rights settlements should place no restrictions on taking tribally owned fee lands into trust; and the need to preserve and not waive claims for injury to water quality. Speaker Naize also stated that the delivery of 6,411 AFY of Central Arizona Project water to eastern Arizona Navajo communities be without conditions; and to delete requirements for the extension of the Navajo Generating Station plant site lease and other related agreements and that the Navajo Nation lease additional coal to Peabody Western Coal Company. The Navajo Generating Station is currently negotiating with the Navajo Nation for a possible site lease extension and renewal of rights-of-ways for the plant, railroad, and transmission and water lines. The existing agreements begin to expire in 2019. 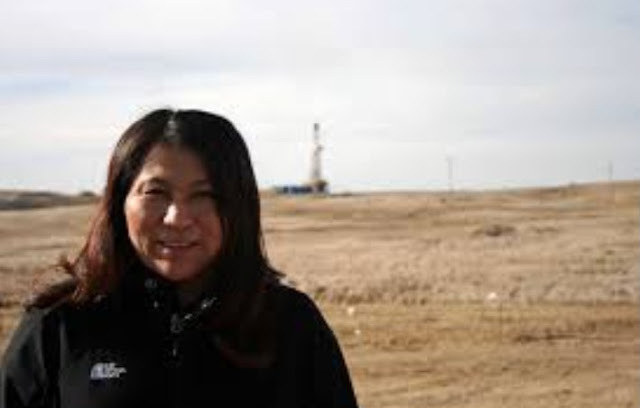 “Clearly the provisions found in S.2109 speaking to any lease extension to the Navajo Generating Station and matters relating to Peabody are unrelated and unnecessary to the LCR Water Settlement,” Speaker Naize said. The Naa’bik’iyati’ Water Rights Task Force communicated to Secretary Salazar that the current form and content of S.2109 is unequivocally unacceptable. Without substantial changes to the bill, pursuant to the Nation’s position statement or the introduction of a new bill honoring the Nation’s priorities, the Nation will not yield from its opposition to S.2109 as stated in Navajo Nation Council Legislation No. 0149-12. “I want to assure the Navajo people that any settlement passed by Congress resulting from this meeting and others going forward, must ultimately be approved by the Navajo Nation Council,” Speaker Naize stated. Speaker Naize also implored Secretary Salazar to exercise all his authority to uphold the trust responsibility of the United States government and the historical promises to advocate in the best interest of Diné people. “Now more than ever, I hold the Department of Interior accountable for advocating in our best interest—particularly as it relates to our priority to remove all the provisions seeking to prevent the Navajo Nation from taking its fee lands into trust,” Speaker Naize said. The Naa’bik’iyati’ Water Rights Task Force is comprised of Speaker Johnny Naize and Council Delegates Katherine Benally, Elmer Begay, Joshua Lavar Butler, LoRenzo Bates, Jonathan Nez, Walter Phelps, Alton Joe Shepherd, and Dwight Witherspoon. The advisory group to the Naa’bik’iyati’ Water Rights Task Force, as stated in the enacting resolution of the task force, consists of Rita Gilmore, Nicole Horseherder, Ann Marie Chischilly, Byron Huskon, Jack Utter, and Thomas Walker. Also present at the meeting with Secretary Salazar was Hopi Tribe Chairman LeRoy Shingoitewa. 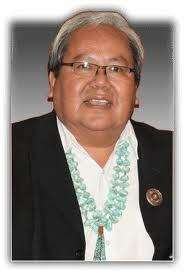 The position statement presented by Speaker Naize is available on the homepage of Navajo Nation Council website.